When one speaks about the silent film era, most of the time people will think of this classic. This embryonic period in cinema can still teach us some filmmaking techniques. Considered as Fritz Lang’s silent masterpiece, this is, after all, an Expressionist film. Even these days it can teach us a good few tips about black and white cinematography. 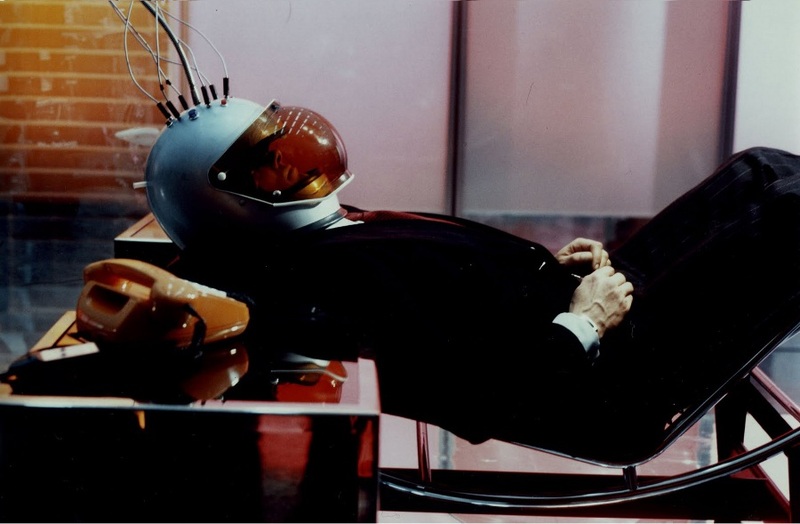 And the machine-human constructed by Rotwang is a masterpiece in and of itself. Events take place in an immense futuristic city. Freder, son of a wealthy industrialist, falls in love with a girl (Maria) from the underground society that is oppressed by his father and other industrialists. Like The Little Buddha, Feder faces this downtrodden class for the first time. The conflict between the two opposite classes is unavoidable. It was one of Hitler’s favorite films. Lang was Jew, and this film was Hitler’s Battleship Potemkin. The master sci-fi storyteller H.G. Wells said it was a silly film. But it’s still a great didactic film. There are some reasons to believe that Nausicaa of the Valley of the Wind” is one of the most original sci-fi films that has ever been made. Its post-apocalyptic environment is like a toxic fairytale. 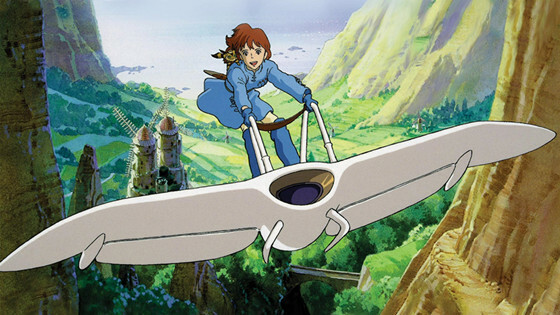 Nausicaa is a sensitive, yet brave little girl who lives in the Valley of the Wind. In this futuristic world, when she tries to befriend the Toxic Jungle, she’s trying to befriend herself and the whole of humanity. “Tolmekian people fighting against people who live in the Valley of the Wind, and then both of them join the troops to fight the evil jungle, and at the end they’re victorious against the jungle”…this would be a random sci-fi scenario. But here, at the end, the jungle wins against all of them. The jungle wins because its most terrifying creature (Ohm) can both heal and give life, but nobody knows this fact. One thousand years have passed since Seven Days of Fire and no one except Nausicaa has ever tried to understand the jungle (I’m overreacting, I know) or at least just to cohabitate with it. The Toxic Jungle can heal, so it is probably not only a threat but also a savior to this lost and hopeless humanity. This movie is like an exalted Inception. Instead of adream, here we have a simulated reality. And the main question is whether our reality, the reality we know, is real or a simulated. Complicated. Dr. Stiller is an engineer who works for a program called Simulacron. Prof. Vollmer, who is the technical director of the program, suddenly dies in an accident. Stiller discusses Volmer’s death with Lause, the security adviser of the institute. Lause disappears. Stiller begin to suspect there is something relating to Simulacron evoking all these strange events. 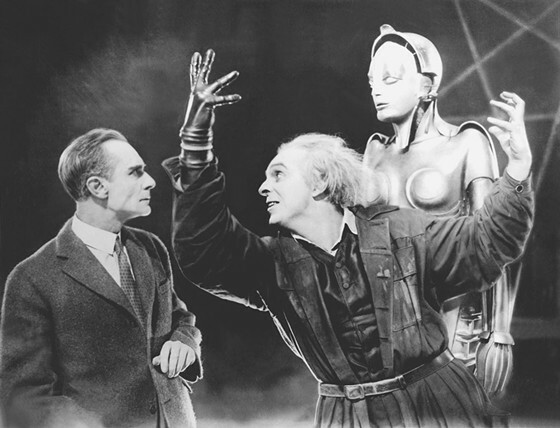 The film was conceived as a two-part miniseries for television, and there were no special effects. So after watching Alphaville and this, maybe you should seriously think about shooting a sci-fi movie in your neighborhood. With Barbara Valentin, who looks like Lady Gaga, Michael Ballhaus’s tremendous cinematography, great acting performances, a ‘70s lookalike futuristic background and the name of Rainer Werner Fassbinder on it, this film is definitely a must. Have you ever dreamed about being legendary for creating something for mainly commercial reasons, but still your work ends up being nothing less but a masterpiece? Kris, a psychologist, is sent to a space station orbiting around a far away planet named Solaris, in order to explain the crew’s strange hallucinations. When arriving there, Kris keeps seeing his dead wife again and again. And it becomes harder and harder for the audience to perceive what is real and what is not. Although most of the events take place in a far away space station, this is not the typical sci-fi we are used to. It’s a film about love, loss and loneliness. If you want a typical sci-fi story, it’s better to read the book. 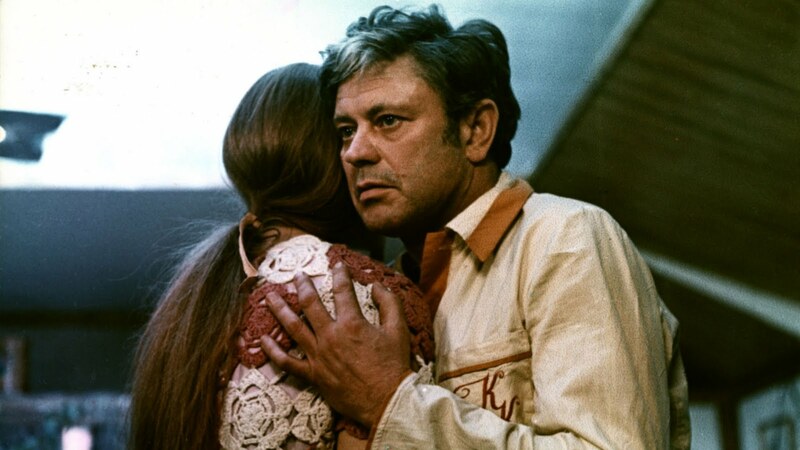 Andrei is one of those rare guys who can make a film more artistically valuable than the book the film was based on. Special mention: Solaris’s ending scene, where Kris meets his old father in his old house, in a parallel reality (where it keeps raining inside the house), is more than mind blowing. The scene was inspired by Rembrandt’s The Return of the Prodigal Son, which in turn was inspired by Luke 15 in the Bible. It may also remind you of Odysseus turning back to Ithaca (the dog detail). Too much knowledge in just one sequence. The soundtrack is the very first thing to be mentioned about La Planete Sauvage. The whole film is like a weird trip and is not for all kinds of tastes. Oms, or humans, are treated like domestic animals in a futuristic far away planet where some big blue giants (Draags) rule. Roland Topor has painted the illustrations. His name on the list makes this Czech and French production fit better inside an art gallery than in a movie theatre. 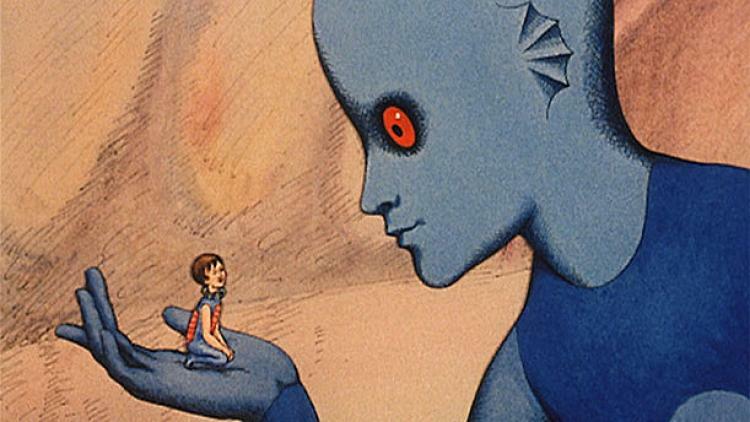 Fantastic Planet is hard to be explained in words. It has to be experienced. There is a simple story where aliens oppress humans, but this simple story combined with Tapor’s illustrations and Alain Goraguer’s music is a mesmerizing piece of art. When you decide to watch this film, be prepared for something like a drug trip. If you’re an Alien fan, you’ll probably be disappointed, but if you’re a fan of Art-House films and Experimentals, then maybe this René Laloux’s chef d’oeuvre is what you’ve been looking for. 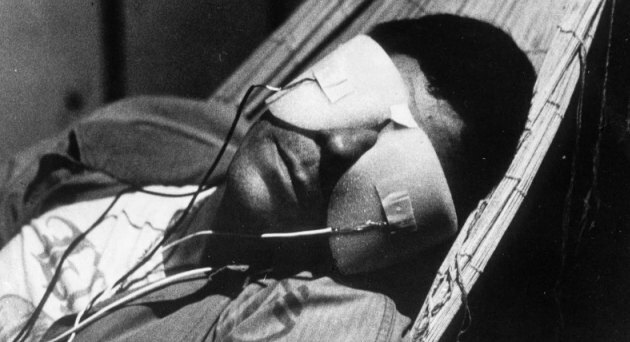 This is Chris Marker’s experimental masterpiece. Widely referred to as an experimental short, in the credits Chris Marker calls his piece of art a photo-roman. Unable to hire a camera, the director presented this story only in still photos. After World War III, in an apocalyptic world, most of the survivors live underground. A group of scientists have invented a time machine. They send prisoners back and forth in time in order to better understand their present. They pick one man in particular, who has a memory from his past when he was a kid. He remembers a woman in an airport. Marker’s innovative cinematic techniques used not only in this film (in this film in particular) but in all his artistic works, his dreamy poetic style, and his philosophical “stories” are progressive even for today. Terry Gilliam’s 12 Monkeys was based on this film. This is one of the greatest films that has ever been made. In the very near future, something strange and alien has happened in a Russian territory named “The Zone.” Once you’re in “The Zone” there’s no way to turn back. But a guide, “the stalker,” leads two strangers inside “The Zone.” He insists that he has been there before. There is a room in that area that fulfills one’s most secret desires. The movie is characterized by very long takes: the deeper in “The Zone,” the longer the takes. Photography also changes in and out of “The Zone.” Stalker says there are different laws of physics, unlike those we know, inside that area. But still nothing happens. The three men enter the long-awaited room, but it doesn’t work as they thought. It fulfills the unconscious desires, not those expressed loudly. After this, the writer, the professor and the stalker are altogether in the bar where they first met. At the end we see the Stalker’s daughter using her psychokinetic power to move some glasses across the table. This film’s characters are starving to find the true meaning of life. Words said by the writer and the professor, Stalker’s dreams (those Tarkovskian dreams), and his wife’s monologue delivered directly to the camera. All of these elements prove this. They all need “The Zone” because of its superpowers, but indeed, Stalker’s crippled daughter is the one blessed with superpowers. This film may be the most unknown masterpiece in the art of filmmaking. To appreciate this film, we should agree first that film is an art genre, not just some mechanical use of lights and camera lenses. 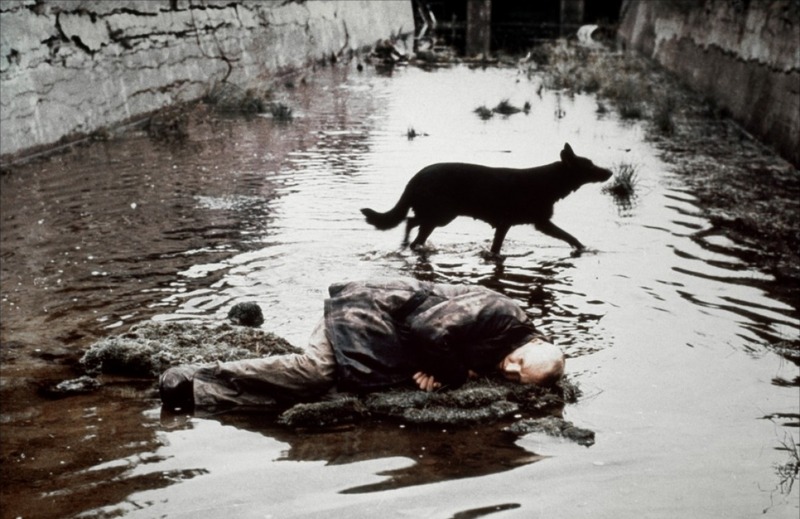 The creator of this film, Andrzej Żuławski, is probably one of the most unknown living directors. 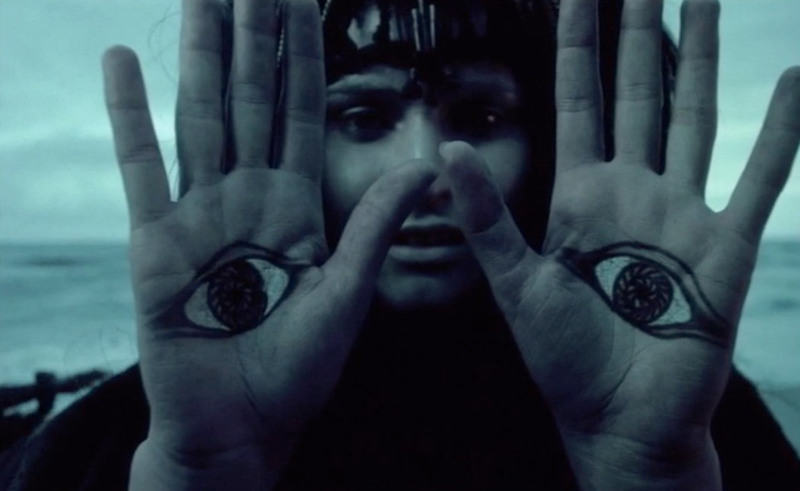 On the Silver Globe was planned to be released in 1978, but after the Polish Ministry of Culture shut down the project, it premiered 10 years later at Cannes. Back in 1977, the government ordered all the materials used on this film to be burned. This order included not just the film stock but also the costumes and props. But after Communism crashed, it was revealed that most of the film stock was still in good condition, except for some missing footage. This missing footage has been replaced with Żuławski’s voice explaining to the audience what really happened on the film. So it’s like a puzzle. A psychedelic puzzle. Shaky hand-held camera. Epic, massive scenes and weighty costumes. Profound, meaningful dialogues. This is almost perfect. A bunch of young cosmic explorers leave Earth to start a new life on another planet very similar to Earth. After some years their successors are persecuted by Szerns, natives of the new planet. Only one man is still alive from the Earth-escaping crew. The offspring treat him like a demigod. They believe in his words about a Messiah coming from Earth. So when an ordinary man from Earth lands on their planet, they believe he is their saviour. After watching this film, you can conclude that: 1.This whole film is taunting God, or is rather taunting humanity, who fabricates fake gods and later believes in them; or 2. That humanity doesn’t believe in anything anymore, but they suffer from their own vulnerability, and they need to be conquered by other humans in order to pretend they feel good about themselves. Bio: Lediona Kasapi is an independent filmmaker who thinks that a good film is one that deserves to be watched inside an art gallery.